Wow! Powerful words and hard words to live by. From where I sit it looks like our world is working really hard to find ways of being unkind. Using unkind, unloving and hurtful words is easier than ever through social media platforms and even texting, where being removed from person to person conflict offers people easy jabs. The old saying “sticks and stones” really does not hold true as much as we wish it did. I decided to write this blog post on living in peace and guarding our hearts when we are under verbal assault. It is not easy for anyone and those of us who live with or have constant contact with those we love suffering with all types of mental illness know we get doses of hate that exceed the daily recommended allowance a hundred fold! We are human. We all have been on the giving end of harsh words whether we choose to admit it or not. But when our loved ones are suffering they want us to join them in their dark place, as if that would help, and we receive so much negative energy, angry words and hate, that recovering for us can take longer than recovering for our loved one who started it! Insane. Don’t you think? Why do we let it enter us? Why do we feel weak and empty and sad? We know better! We need to learn to stop the cycle. The first thing I believe we must remember so we don’t harbor hate in our hearts is to never confuse the behavior with the person. MI people act in unkind and unloving ways, creating a lot of pain and suffering for themselves and for those around them. It is the disease grabbing a hold of them (most of the time) and as hard as it might be, we need to hold on to that thought so their hurtful words and ways do not bring us down with them. Love the person and HATE the disease. 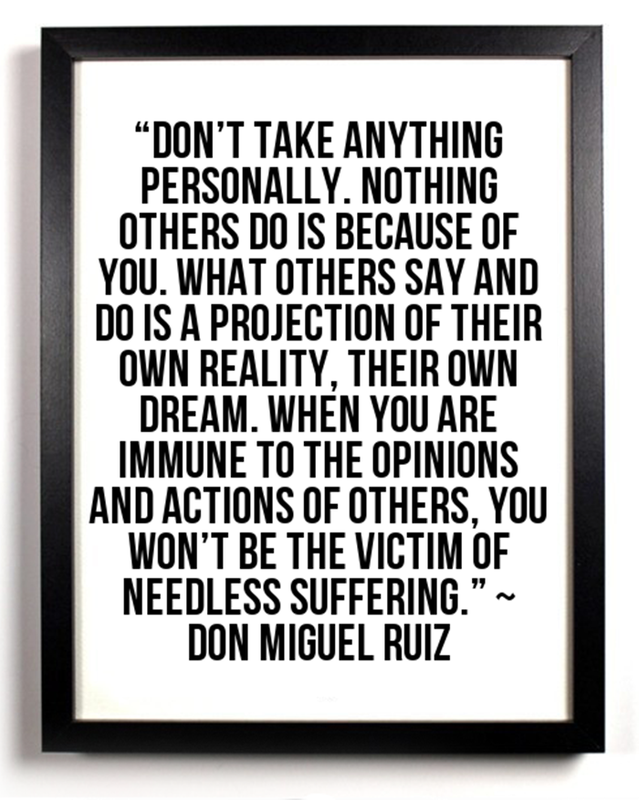 Don’t take it personally. Don’t make their pain your pain. Don’t make their darkness your darkness. Help them if you can, by giving them your love, compassion, understanding, and help. And if that’s something you can’t do, make sure you don’t feed their pain by reacting in unkind and unloving way, and by confusing the behavior with the person, for that would only create more suffering into their lives, and into your own life. 1Listen, my sons, to a father’s instruction; pay attention and gain understanding. 2I give you sound learning, so do not forsake my teaching. 3For I too was a son to my father,still tender, and cherished by my mother. 4Then he taught me, and he said to me,“Take hold of my words with all your heart; keep my commands, and you will live. 5Get wisdom, get understanding; do not forget my words or turn away from them. 6Do not forsake wisdom, and she will protect you; love her, and she will watch over you. 7The beginning of wisdom is this: Get wisdom. Though it cost all you have, get understanding. 8Cherish her, and she will exalt you; embrace her, and she will honor you. 10Listen, my son, accept what I say, and the years of your life will be many. 11I instruct you in the way of wisdom and lead you along straight paths. 12When you walk, your steps will not be hampered; when you run, you will not stumble. 13Hold on to instruction, do not let it go; guard it well, for it is your life. 14Do not set foot on the path of the wicked or walk in the way of evildoers. 15Avoid it, do not travel on it; turn from it and go on your way. 16For they cannot rest until they do evil; they are robbed of sleep till they make someone stumble. 17They eat the bread of wickedness and drink the wine of violence. 18The path of the righteous is like the morning sun, shining ever brighter till the full light of day. 19But the way of the wicked is like deep darkness; they do not know what makes them stumble. 20My son, pay attention to what I say; turn your ear to my words. 21Do not let them out of your sight, keep them within your heart; for they are life to those who find them and health to one’s whole body. 23Above all else, guard your heart, for everything you do flows from it. 24Keep your mouth free of perversity; keep corrupt talk far from your lips. 25Let your eyes look straight ahead; fix your gaze directly before you. 26Give careful thought to thec paths for your feet and be steadfast in all your ways. 27Do not turn to the right or the left; keep your foot from evil. I will leave you with one more thought. And that is as we guard our heart, we can detach with love. We can stop the cycle of reacting. We can get peaceful and centered and restore our balance. Take a walk. Leave the room. Turn off the phone. Take a long bath. Call a friend. Call on God. Take a yoga class or learn some breathing and meditation techniques. Breathe some more! Peace be with you. AND just remember to breathe! This entry was posted in Uncategorized and tagged approval seeking behavior, caregiver, let go, mental illness, NAMI, not taking things personally, stop taking things personally. Bookmark the permalink.